On Judging Beer - Oh my we get very judgy judgy don't we? Something occurred to me at last weekend's Killarney Beer Festival. I was judging beer along with about 20 other judges and coming across mediocre or sometimes flaw ridden beer. Don't get me wrong, there was a lot of excellent beer there and in many cases there were outstanding beers that were both flawless and wonderful. What I was thinking about relates more to the mediocre and possibly flawed examples. I realised that at least some of these beers are beers I have had before and more importantly, probably beers I have enjoyed before. I could go a step further and say that some of the beers I may have found with flaws or just a bit meh are possibly even beers that I would drink later that evening and thoroughly enjoy at the beer festival. It goes to show that there's a lot to be said for blind tasting a beer. When we don't know what a beer is beyond some kind of base style like IPA or Irish Stout, we take all other precognitive bias as well as environmental factors out of the equation and can simply judge the beer as it is. I have been judging beer at competitions since about 2011 or 2012 from memory. Mostly this is at homebrew competitions where there's an expectation of flaws and feedback to help brewers figure out how to fix those flaws. Since the Irish craft beer scene is still pretty young, I treat the commercial beer competitions I run as similar to a homebrew competition and provide feedback to brewers to help them. Many brewers came from a homebrew background before going commercial so I hope will appreciate the feedback. I especially hope that they appreciate the negative feedback as it's there to highlight issues and help them to remedy it. As an example, a brewer might not have a palate that picks up diacetyl so may not realise their beer tastes like liquid werther's original to those that are. People who don't like that taste will avoid that beer in future so they lose market share. In my case, I'm not particularly sensitive to DMS (dimethyl sulfate) and usually results in a cooked vegetable or canned sweetcorn note. I can pick it up but not very easily. 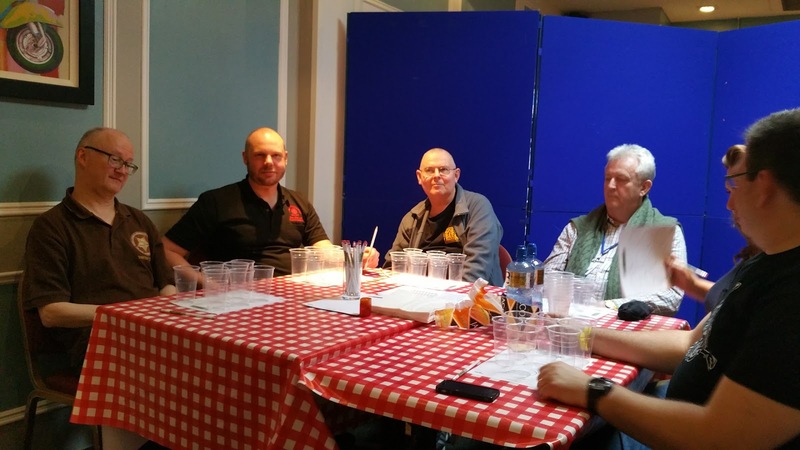 It's one of the reasons that each beer is judged by more than one judge. I'm not sensitive to DMS and the two other judges I was with at Killarney this year were, I'm particularly sensitive to phenols however, especially chlorophenols (TCP) so we covered all bases on our table. To be clear, the off-flavours I have mentioned are not always bad. Diacetyl is fine in small amounts in a number of beer styles. DMS is also fine, especially in American lagers, some of which actually do contain corn. Phenols are not always bad such as in styles like German or Belgian wheat beers and saisons. They are acceptable or even desired as long as they are the clove like however chlorophenols like TCP or iodine have no place in any beer. To be honest, all brewers should take sensory classes from time to time to help them identify these off-flavours. Having an off-flavour in a beer is only going to hurt their pocket as consumers move on to something cleaner. If you are a brewer who hasn't had some sensory training but can't really find somewhere that does it, let me know and I can probably organise something. This will work especially well if a few breweries get together. Not necessarily with me either due to where you are based but I can probably arrange through other judges. There's a reason why big brand lagers became so popular. They may not taste of much but they are generally perfectly and consistently brewed as well as clean. You know what you are getting. When a small craft beer maker can make interesting and flavoursome beer without any faults and do so consistently, that's when they become very popular and popularity usually means more money for the brewery. 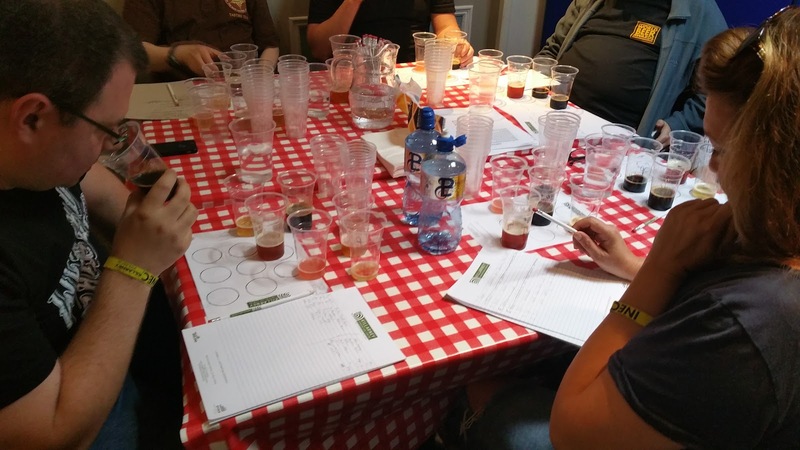 The Tale Of The Ale: On Judging Beer - Oh my we get very judgy judgy don't we?